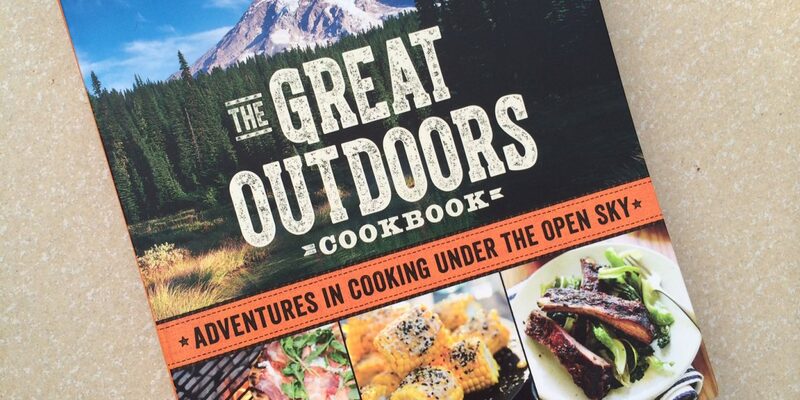 The most comprehensive all things cooked outdoors cookbook I have seen- and you can win one! WINNER ANNOUNCED: Thanks to all who participated!! Neil Buchwalter is the lucky winner- Neil, you are going to LOVE this book! 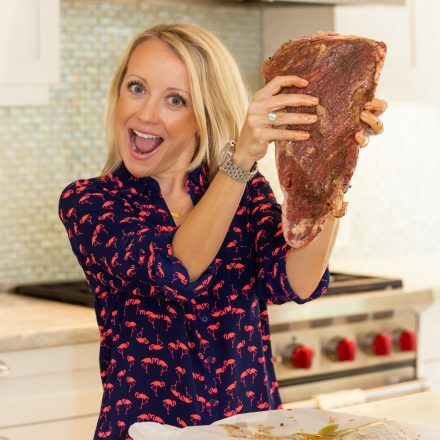 It is grilling cookbook season ya’ll. 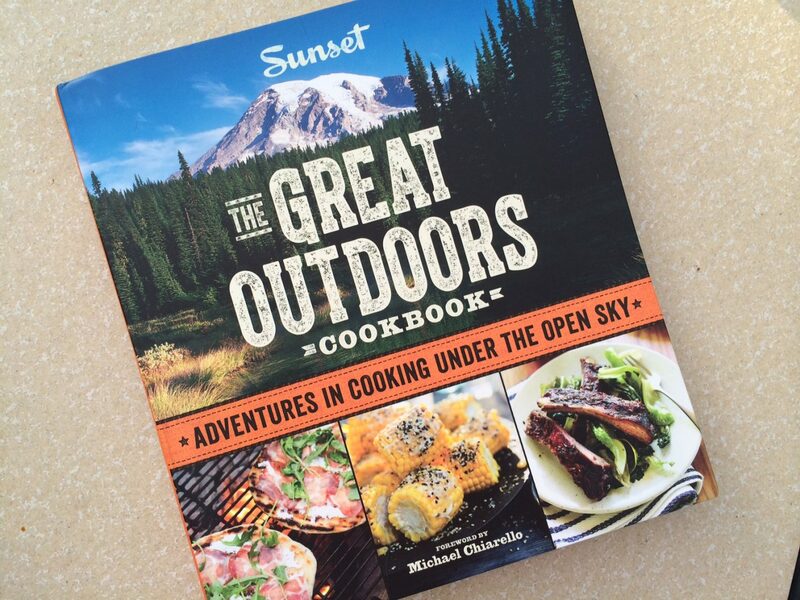 And I am REALLY happy that Sunset reached out to me to review this cookbook because it is the most comprehensive book I’ve seen on everything cooked outdoors. 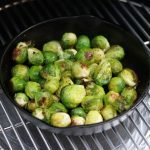 Recently I’ve been exploring campfire cooking, dutch oven cooking, even cooking on my firepit to simulate cooking on a campfire, so this book could not have come at a better time. 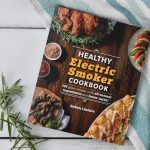 This book covers everything from camp kitchen basics, grilling basics, how to cook in a dutch oven, how to make a diy firepit, how to use a smoker, how to use a solar oven, outdoor entertaining tips, and even how to make your own pizza oven. When I tell you this book is really comprehensive for all methods of outdoor cooking- It’s no joke! Plus, the photos are really great too. 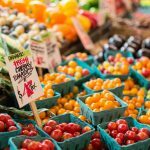 There are lots of cool throw back photos from early Sunset magazine editions, as well as great photos of cooking outdoors that make you want to get in your car and drive to the nearest National Park. 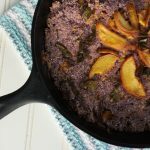 Oh, and did I mention there are tons of really great creative recipes too? I can’t wait to try the grilled sardines! 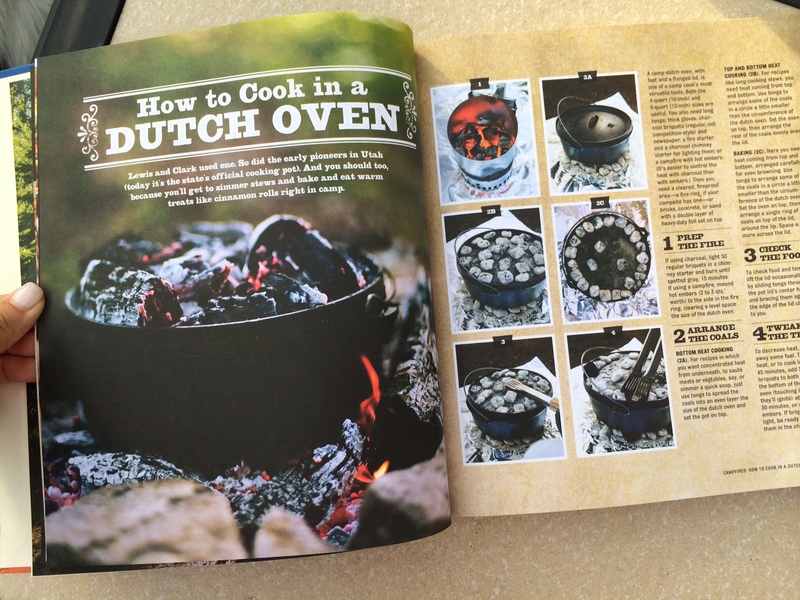 Ever cooked in a dutch oven- this book will show you how! AND, the best part is one lucky winner is going to get a copy of this awesome book! 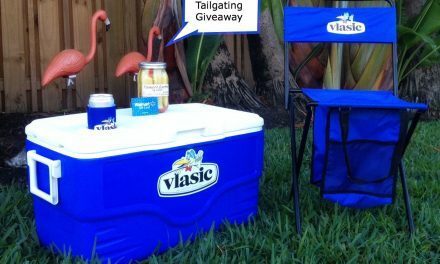 To be eligible to enter this giveaway, please “like” my facebook page, or leave a comment on the blog, or both! Points will be tallied and winner will be announced this Sunday, May 25th. 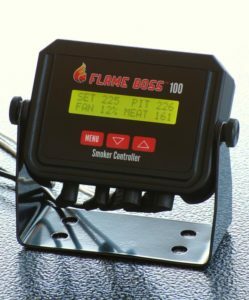 Please enter via rafflecopter link at the bottom of this post. Thanks! Cinnamon rolls cooked in a cast iron skillet. Damn these look good. Definitely not low carb lol! 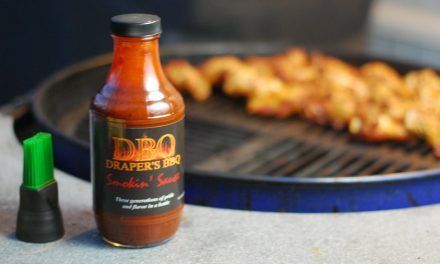 Merry Christmas: A Draper’s BBQ Sauce and BBQ Rub Pack Give-away! Robyn I have a smoker and two grills! They get fired up at least once a week! There is nothing better than cooking outdoors! Love Dutch Oven cooking outdoors on the grill. 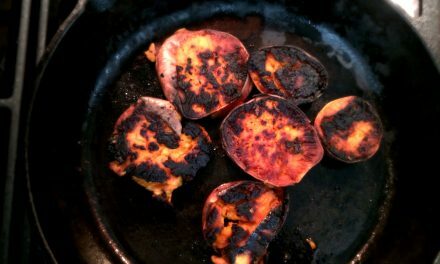 Several years back when I was a Boy Scout Leader we would always cook breakfast and many other things in a Dutch Oven. 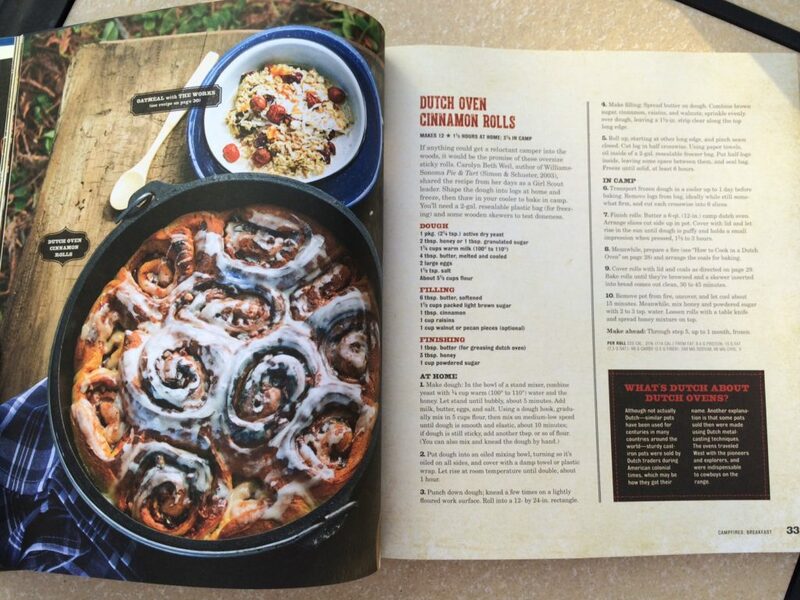 This cookbook should be great, hope I win. I bbq all year and love cooking when camping. I want to try Dutch oven cooking. On our weber grill, we love weekends to enjoy kabobs on the grill. 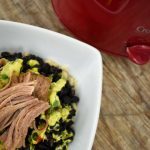 Cooking paired with the Great Outdoors is my kind of adventure! Cooking in the great outdoors is my kind of adventure! 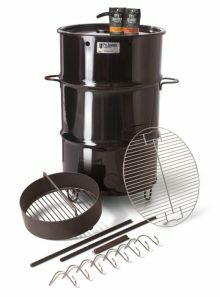 I cook outdoors on one of my smokers – a GMG pellet grill, a PBC drum smoker or an ECB vertical water smoker (used for cold smoking)! Grilling or smoking, I’m always cooking something outside! 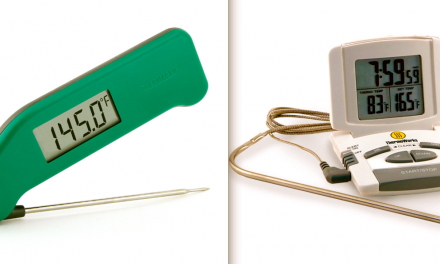 Chance to grill is on of the best things about spring! My “cooking outdoors” consists of a firepit and a stick. Pretty primative, LOL. No doubt that cookbook would help me out! Sandra, you are a badass! Love it!